Archive by Category "Driveway Paving"
Paved driveways offer homeowners an extra level of luxury that gravel or dirt could never match. For one thing, your car or truck will stay cleaner if it stays on a paved surface. In addition to keeping your vehicle cleaner, it also helps protect your yard from muddy puddles and damage from tire ruts. And your guests will applaud your choice to upgrade your drive. But many people have no idea how to start the process. Even worse, some people try to pave their driveway themselves or hire amateurs who promise professional results. For a job this important, you need to make sure to hire a state-licensed contractor to get the premium results you deserve. Why Does My Contractor Need to Be Licensed? Often, homeowners try to pinch pennies when choosing someone to complete household renovations. There are many good reasons to hire a licensed contractor to pave your driveway. Customer Protection: Being licensed by the state assures protection for the customer, in case something doesn’t go as planned. If your crew is unlicensed, you are on your own if damages are incurred or the job is left incomplete. Professional Experience: The state doesn’t just hand out licensing to anyone who applies. When you opt for a licensed contractor, you get a skilled professional who has been trained in the industry-approved techniques necessary for the task at hand. Proper Equipment: A licensed contractor won’t try to pave your driveway with substandard or makeshift equipment. Especially in small, tight areas, special machinery and tools may be needed to do the job right. Reliable Service: Unlike traveling amateur crews, a licensed contractor will be available after the work is finished. 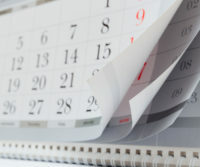 While you may save a few pennies using non-professionals, the cost you could encounter when a problem arises far outweighs the supposed savings. At A&M Asphalt Paving we perform driveway paving in Baltimore, catering to homes of all shapes and sizes. When installing a new driveway the very first thing to consider is the shape and size of your lot. There are a few general shapes that most driveways fall into. One of the most common types of driveways is straight. It is easy to install and uses the least amount of space. You may find that due to the limited size of your lot, this may be the only choice. But, rest assured, our asphalt and paving services will allow you to take pride in your driveway. Another frequently seen driveway style is a curved shape. If your property is far from the road, or the garage is not in line with the street, this may be the best option for you. The great thing about this shape is the variations of curved designs available for you to choose from. We will be able to help you select the best shape and design. For bigger properties, a U-shape driveway is a good option. This driveway allows you to incorporate some trees or possibly even a fountain in front of your home. And, you won’t be compromising the number of parking spaces available. Additionally, you have the added benefit of driving through without the need for reversing when leaving your home. Similar to the U-shape, the circular driveway is also a popular choice for those with bigger properties. The benefits of this design include convenient access to the property and ample parking. A&M driveway paving in Baltimore will assist you in finding the best driveway design for your home. If you don’t need a new driveway we also specialize in repairing, repaving and resurfacing asphalt. If your existing driveway, whether it is circular, straight or anything in between, has seen better days, we will take care of it. Contact us today to schedule a free estimate of your driveway project. Are You Looking for Driveway Paving in Arnold, MD? Your property, whether commercial or residential, benefits from a driveway that is kept in good shape. 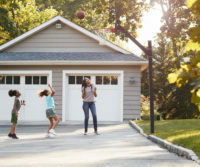 When a driveway has cracks, holes and wear and tear it can be unsafe for those walking and driving on it. If you are looking to improve the curb appeal of your home or business, consider a new asphalt driveway to make a lasting impression. 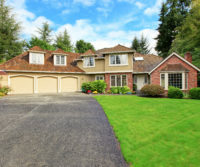 How Can Asphalt Driveway Paving Benefit My Home or Business? As a home or business owner it is important to recognize the benefits of using asphalt for your driveway or lot. From saving money to creating a durable, low maintenance area, there are many benefits to choosing this material. Cost Effective: Compared to other paving materials, asphalt has a significant residual value due to its recyclable nature. It has low initial costs and is highly durable, therefore it is cost efficient and long-lasting. Comfortability: Asphalt surfaces provide a smooth ride. Durability: Asphalt can last up to 15-20 years. With excellent design, construction and maintenance, the base and intermediate layers can remain intact for many years. 100% Recyclable: Asphalt is sustainable due to its recyclable nature. Reclaimed asphalt is crushed into granules and used for new asphalt projects. Flexibility: Asphalt can provide many design opportunities. 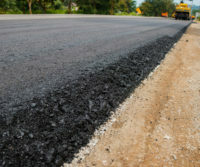 There are a variety of formulas that can be used for various asphalt projects to support a specific climate and traffic load. “Green”: Recycling agencies like asphalt because it significantly lowers CO2 emissions and energy costs. Going green is crucial for today’s industrial, economic and environmental goals. Fast Construction and Low Maintenance: Asphalt needs no ‘curing’ time therefore it can be used shortly after the project’s completion. A&M Asphalt Paving provide driveway paving to those in the Baltimore area. They have over 30 years of residential and commercial driveway paving experience and have the equipment to get any job done. Get in touch for all of your asphalt driveway paving needs today. What Are Common Causes of Asphalt Driveway Cracking? Asphalt paving provides an attractive, safe, affordable surface for your driveway. Asphalt is a great choice for home and business owners. There are many benefits associated with asphalt. 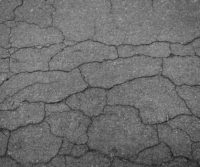 If you notice cracks in your asphalt surfaces you should deal with them as soon as possible because the cracks can be a cause of premature deterioration of the asphalt pavement. Cracking can be avoided by asphalt sealing which is one of the many services A&M provides. 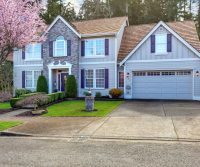 If you have been noticing cracks on your driveway or parking lot read on to learn the common causes of asphalt driveway cracking. What Are the Causes of Asphalt Driveway Cracking? There are a variety of materials that you can use for your driveway. Asphalt has many advantages. The biggest is the cost. 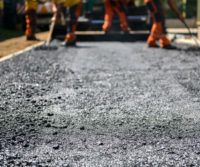 Asphalt paving is cheaper compared to other materials that you can use for your driveway. Another benefit of asphalt driveways is their durability. A properly installed and maintained asphalt driveway can last up at least 20 years. Finally, the cost to maintain an asphalt driveway is low and easy in comparison to concrete driveways. It is important to find an experienced driveway and asphalt paving expert. We have been in business for over 30 years. Our priority is providing high quality services and keeping our customers satisfied. Our qualified professionals are committed to ensuring quality for every client- residential and commercial. Count on us for the best driveway paving services in the Maryland area. If you are looking for an asphalt expert to lay and/or reseal your asphalt driveway, choose A&M. Get in touch with us today! Looking for Driveway Paving in Severn, MD? Choose A&M Asphalt Paving. If you are looking for driveway paving in Severn, MD, no need to look any further than A&M Asphalt Paving. With over 30 years in the business your driveway paving will be completed with care, diligence, professionalism, and efficiency. Whether you have a residential or commercial driveway, you will be met with a community and excellent service. A&M Asphalt Paving provides a wide variety of services to the residents of Severn, Maryland. Services include: paving driveways and parking lots, seal coating, and snow removal. Whether you need asphalt paving, A&M Paving can provide a reasonable quote for the job. They also provide full-service snow removal. A&M is a fully licensed and insured corporation with deep roots in the Severn area. New customers can have a stress-free project because A&M is not only professional but also affordable, reliable, friendly, and focused on its customers’ satisfaction. A&M calls Severn, MD home. The company also provides services to the Baltimore-metropolitan area, including Anne Arundel and Howard Counties. A&M is happy to offer free estimates to all potential clients, freeing you up to speak comfortably with an asphalt customer service agent. Whether it’s driveway sealcoating after a rough winter or a complete driveway paving, A&M Asphalt Paving is ready to help you. 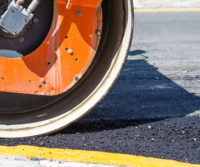 If you are looking for affordable and reliable asphalt services in Severn, Maryland, look no further than A&M for all your asphalt servicing needs. With over 30 years in the business, A&M Asphalt Paving will get your driveway paving in Severn, MD job done quickly and correctly! Contact A&M Asphalt Paving for your next driveway paving in Severn, MD needs.